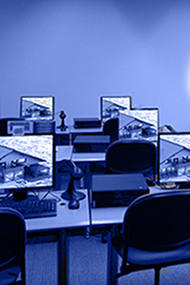 All computer software training offered by Dezignext Training is taught by certified IT professionals. We understand how to take complex computer topics and break them down for the average person in their training. If you are looking to join already scheduled computer software courses, we have a live online public schedule that you may attend from your home or work. With the help of our instructors, a lack of computer software skills will no longer hold you back from becoming a professional in the area that you're being trained in. Let us help you achieve success in a computer driven world with the right computer software training.